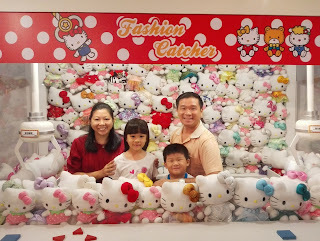 Recently, I made a trip to Hello Kitty Town in Johor. 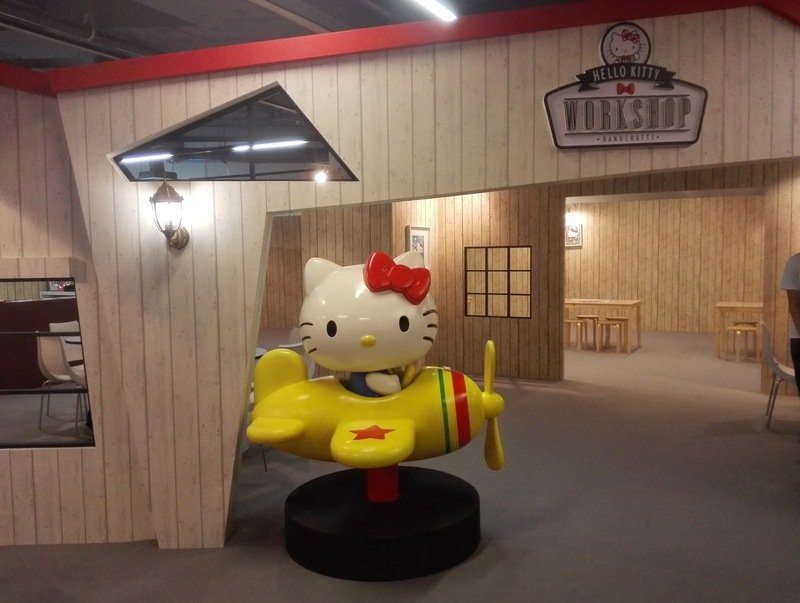 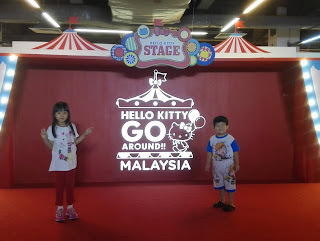 I also went to Hello Kitty Go Around Malaysia which was held at Viva Expo, Cheras, KL. 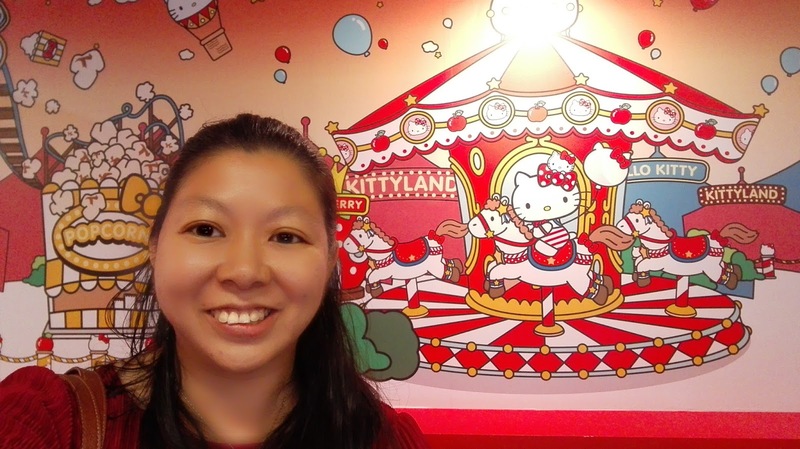 I didn't need to pay any entrance fees for both these places because I won the tickets from contests. That was a lot of savings. 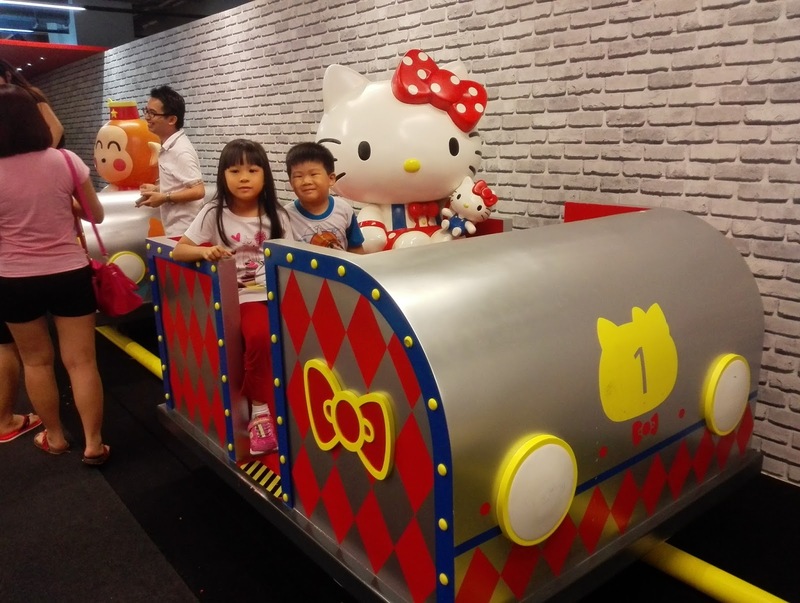 For Hello Kitty Town, the ticket price is Rm 85.00 each for adult or child ticket. 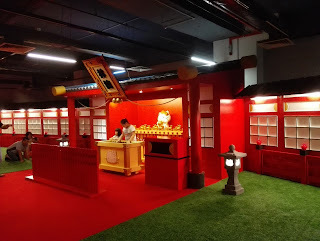 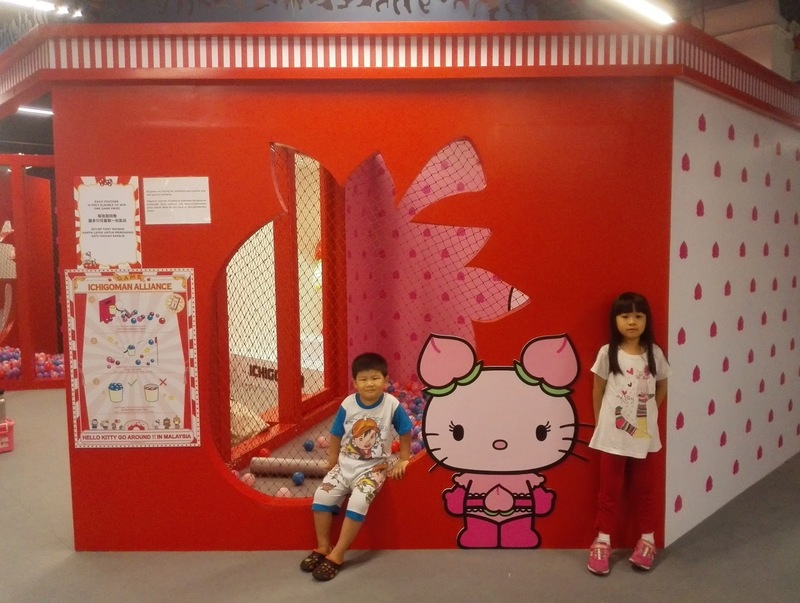 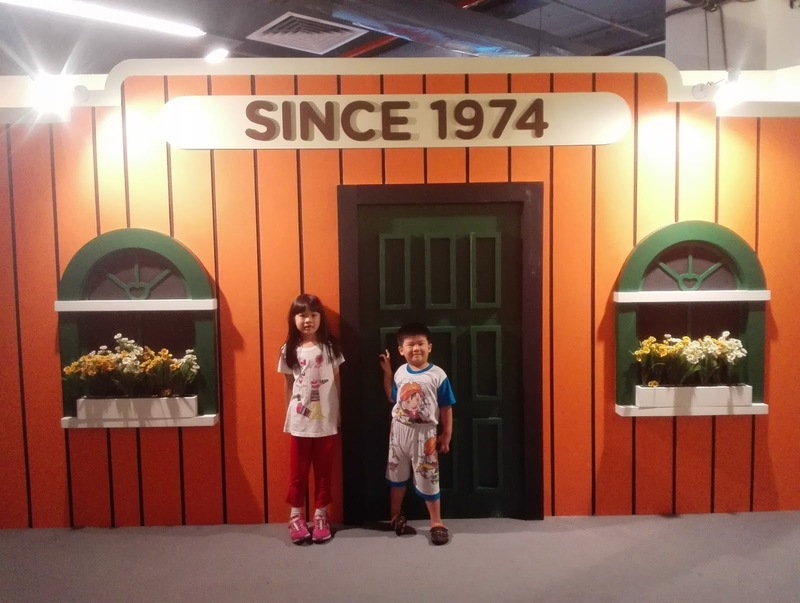 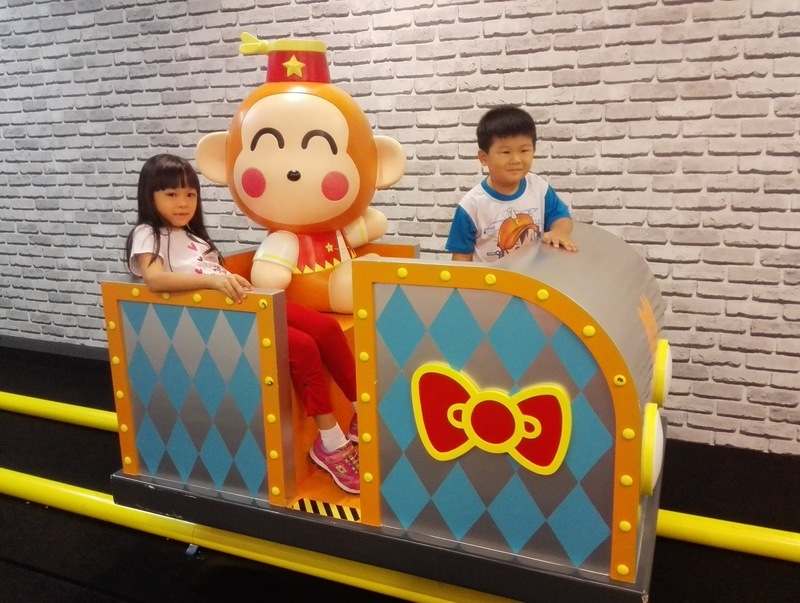 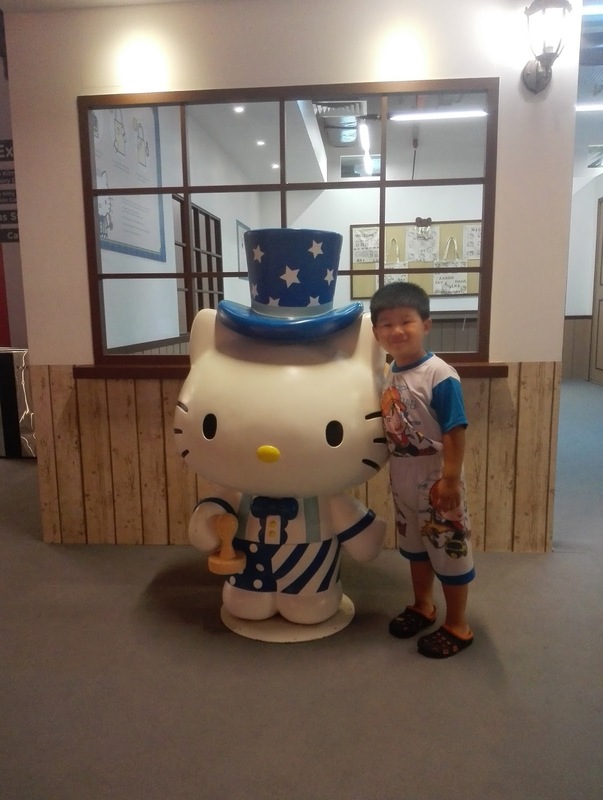 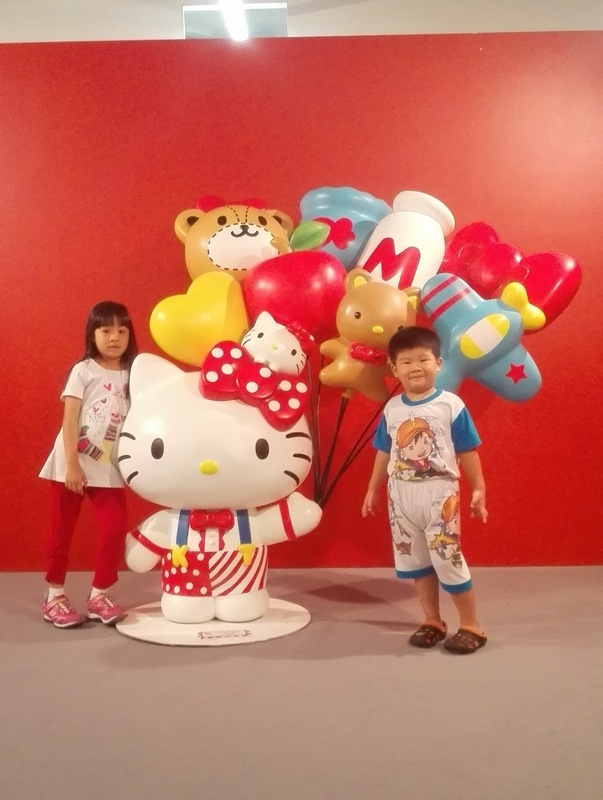 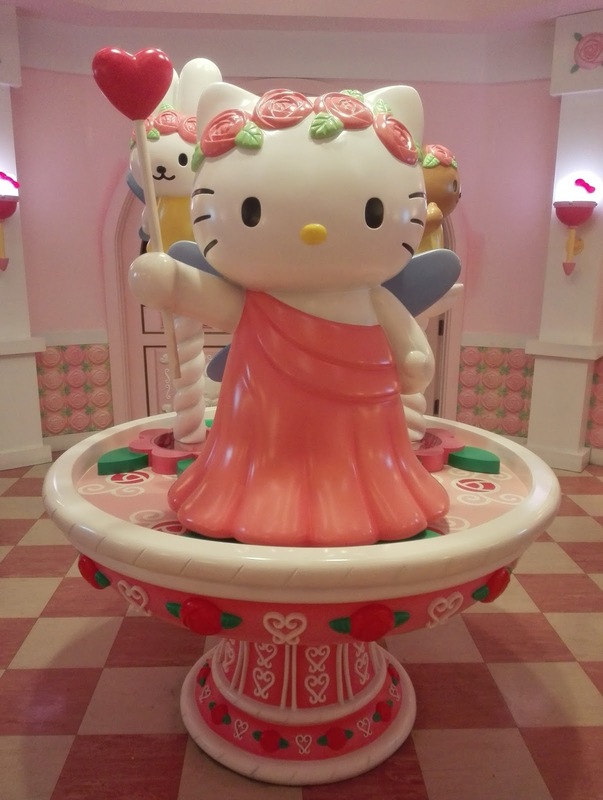 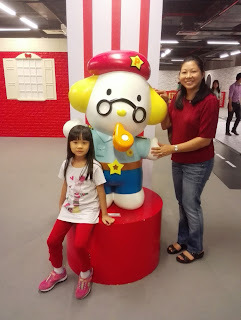 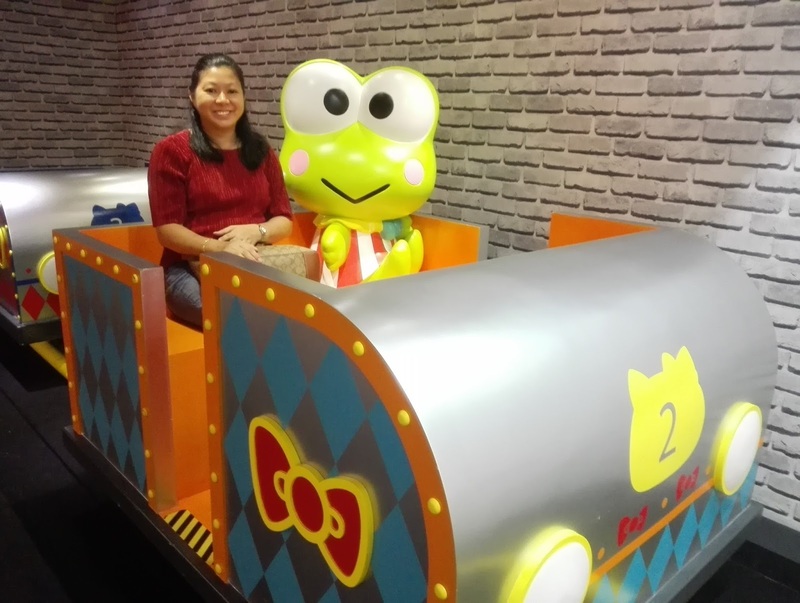 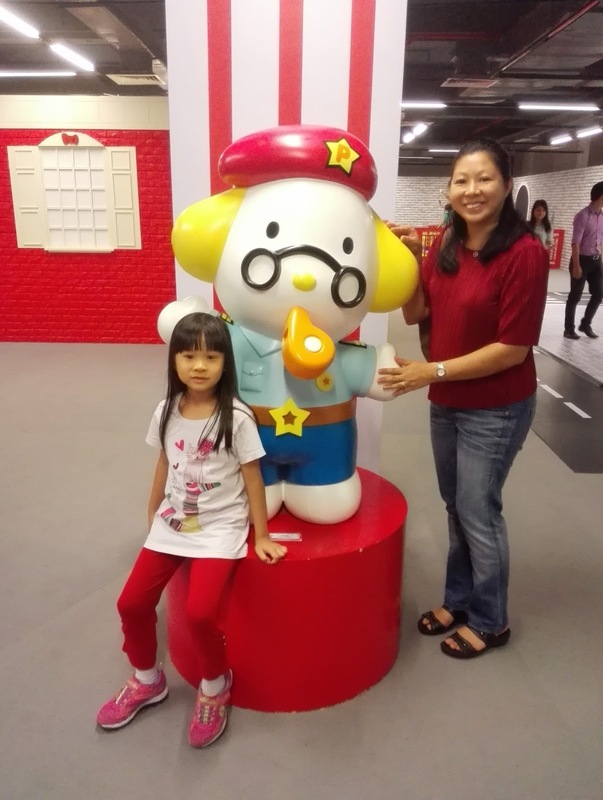 These are the photos taken at Hello Kitty Town, Johor. 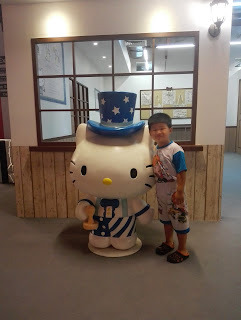 My boy with his Hello Kitty badge. 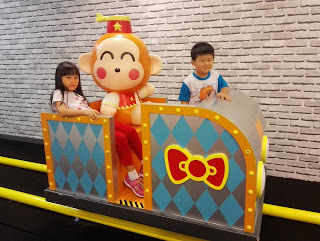 The tea cup spinning ride which my kids went on for more than 10 times. 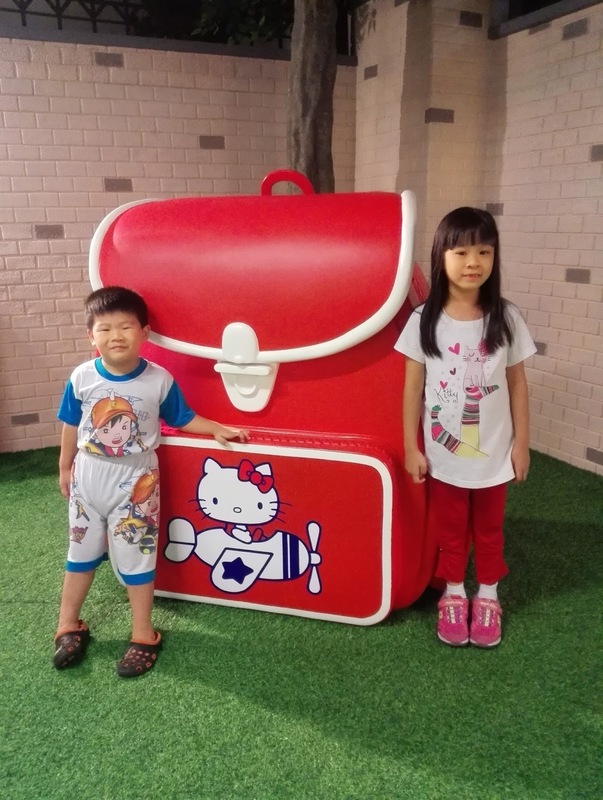 They loved it so much. 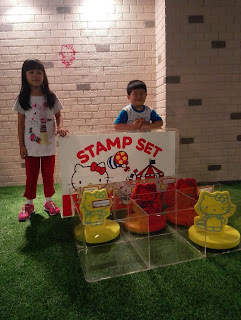 There were many activities here such as decorating cookies and coloring your own badge. 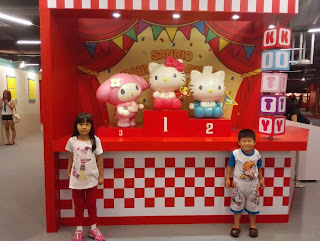 There were a few performances by Hello Kitty & friends which my family enjoyed very much. 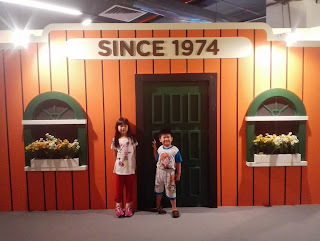 There was the latest Wizard of Oz attraction which I loved. 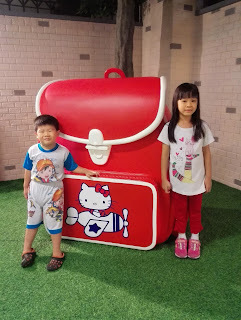 Overall it was very fun. 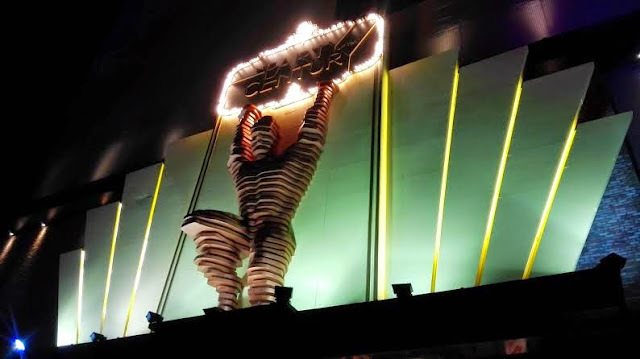 After we came back from Johor, I happen to win 4 tickets to Hello Kitty Go Around Malaysia. 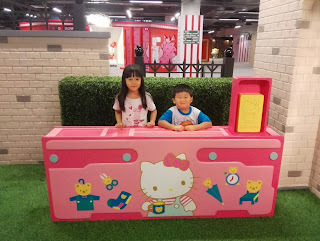 It was not as fun as Hello Kitty Town. 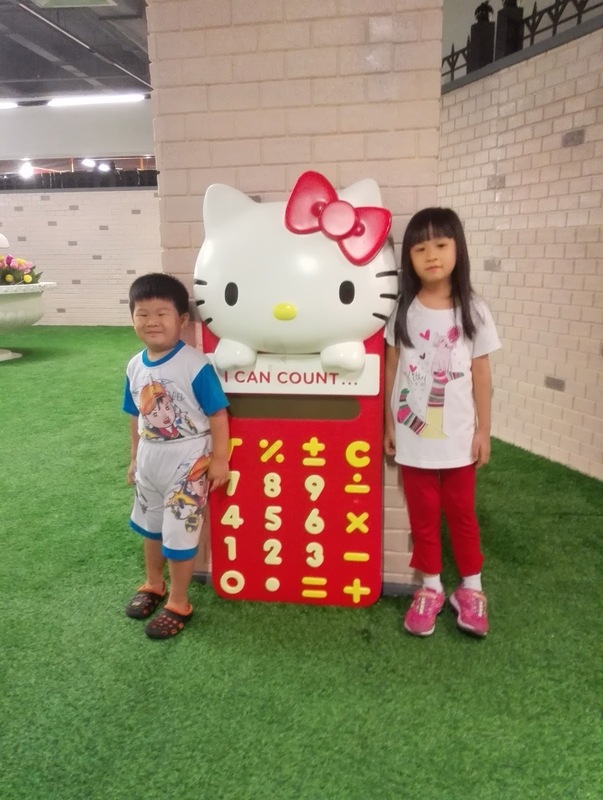 There were less activities and each activity we have to pay if we were to join. There were many game booths there. 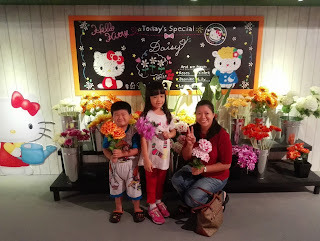 Each game cost RM12.50. If you buy 5 games, then it's RM50 for 5 games. 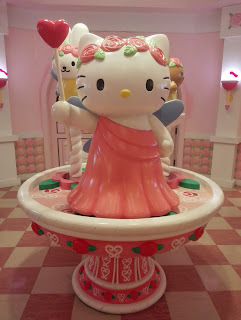 There were no rides but many Hello Kitty statues / houses to take photos with. 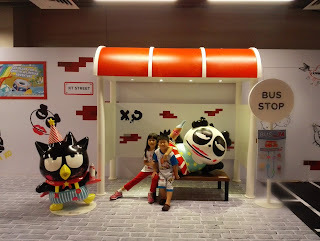 These were some of the photos taken. 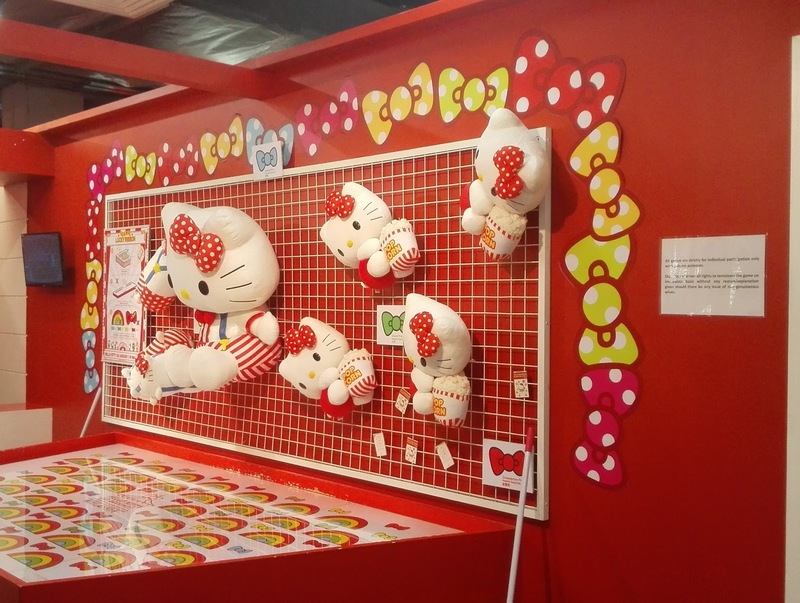 One of the game booths there. 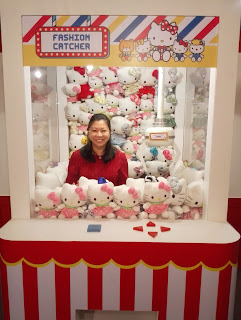 It's not easy to win. 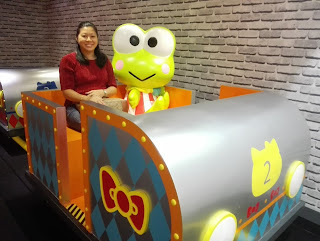 Since we went there on a weekday, there were not many people here. 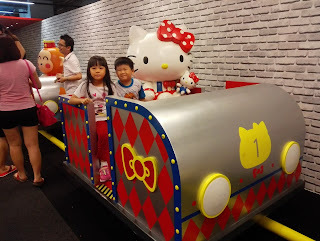 I prefer Hello Kitty Town in Johor compared to Hello Kitty Go Around Malaysia. 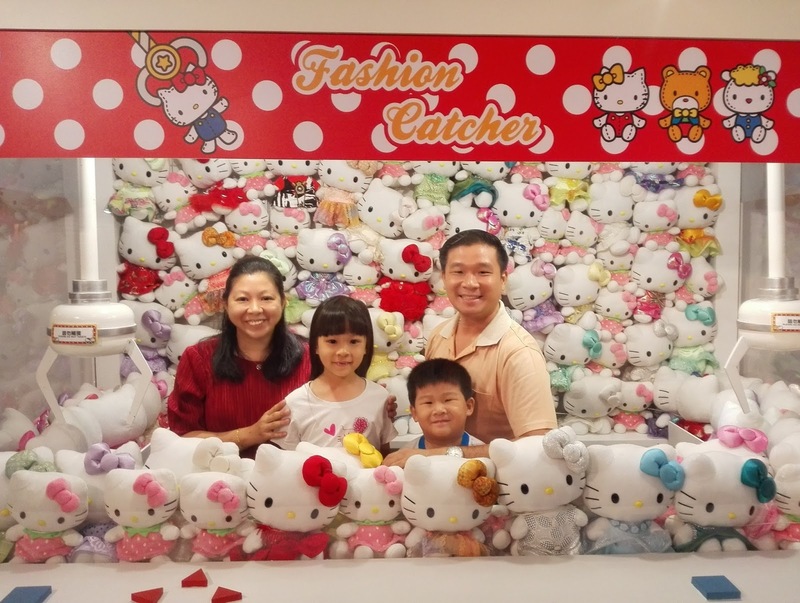 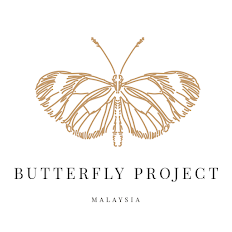 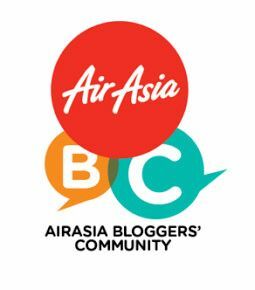 For those who can't make it to Johor, this would be a great place for Hello Kitty fans. 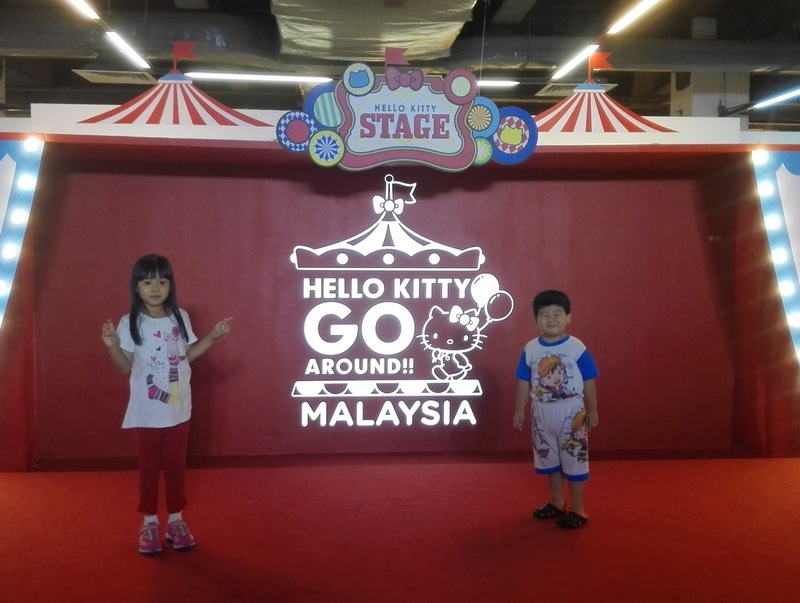 You can still come to Hello Kitty Go Around Malaysia because they have extended it to 14/2/16.